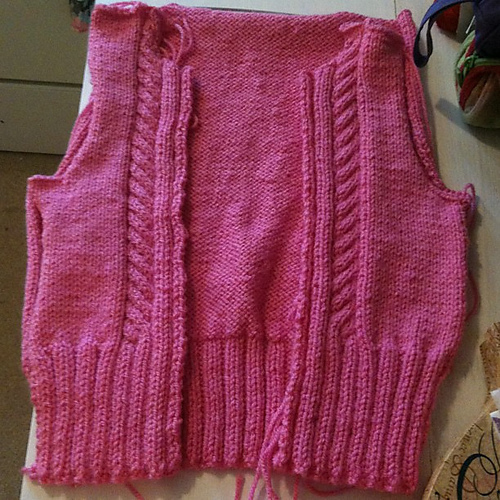 Last week I promised I would be a good girl and finish Daisy's raglan before I started Tilly's cabled cardigan. 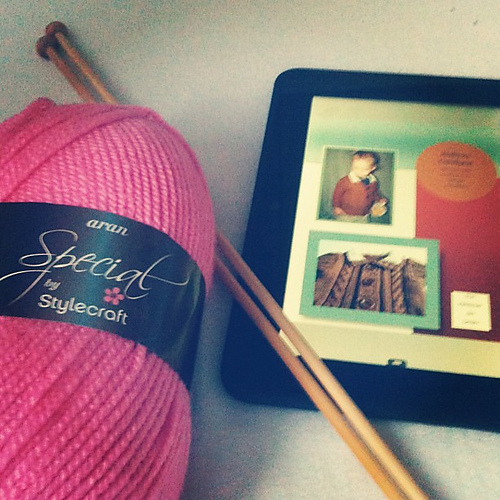 This of course, made me want to knit the new cardigan even more... I had had an awful night, nightmare after terrifying nightmare, once cooled down and I had stopped shaking I decided to do some knitting to take my mind of the horrors. 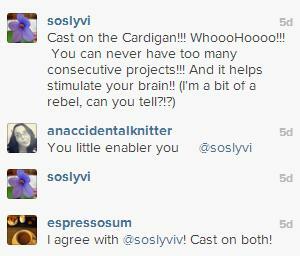 I casted on Tilly's cardigan of course!! This is my second project from my personal challenge A Year of the Cardigan, I wanted to attempted seaming again as it's a skill I would really like to improve. This has been a really good knit to have on the needles, I have been in so much pain lately with my Fibromyalgia that I need something simple to knit, yet it still needs to have enough complexity to keep me interested. That is where the cables came in. I've switched back to Daisy's raglan for a little bit, to see if I can finally finish than dang lace panel! I am also working on a few new patterns, I hope to have them finished soon but we shall have to wait and see how things go! The Flying Needles Knitting Club - I have my own knitting club!! Come and check it out, we have a Ravelry group where we talk every day, and we also do a webchat a couple of times a month. I've also updated my about page which is now entitled Whose Writing? 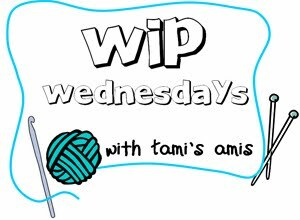 Head on over to this lovely lady for more WIPW posts!